Woody Family Cafe at 12F Andrews Avenue is owned by Executive Chef Jenny Yeo & her husband Sam. 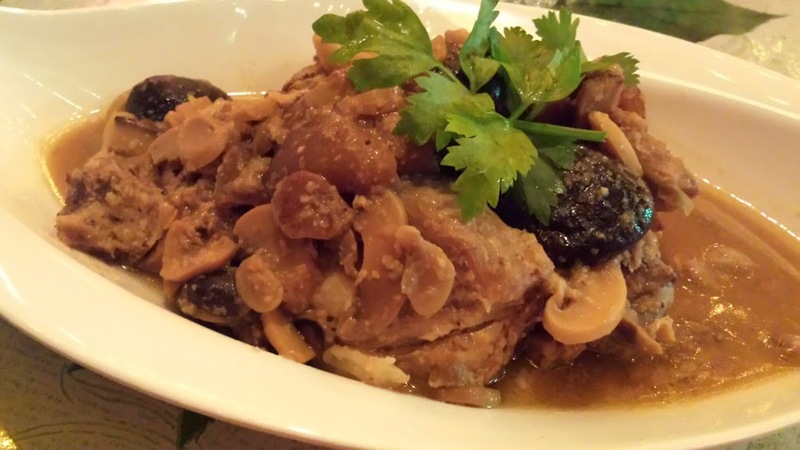 The restaurant serves authentic Peranakan Cuisine, Western-Asian Fusion Cuisine in a rustic cozy ambience. Much of the decor, furnishings & fittings are the handiworks of Sam, Co-founder of Woody Family Cafe, from the bamboo fencing to the batik ceiling decor, to the mini hanging lights that spans the entire ceiling, to the photo montage of Celebrities from the 1950s to 1990s on the wall of the Barista Bar Counter. Sam's creative streak pretty much exhibited in the varied aesthetic design of the cafe's ambience somewhat balances the pragmatic organised clockwork like operations in the kitchen where Executive Chef Jenny Yeo commands her team of at least 6 chefs & kitchen help in generating the orders for the night. Much of the accolades & media write-ups are proudly framed & displayed on the wall overlooking the Celebrities Photo Montage. Our busy Barista happily churns out beverages : lattes, cocktail, mocktails, beer for the cafe diners. These photo Montage on the wall beside the Barista counter depicts the many Celebrities from the 1950's to 1990's era, ranging from Whitney Houston, Marilyn Monroe, Franki Valli, Kenny Rogers, Elvis Priestly, to the Beatles, Nat King Cole & many more, lending a nostalgic touch to the cafe ambience. Whilst the dining area is a relaxing chill out place, the kitchen is in a totally different dimension altogether. 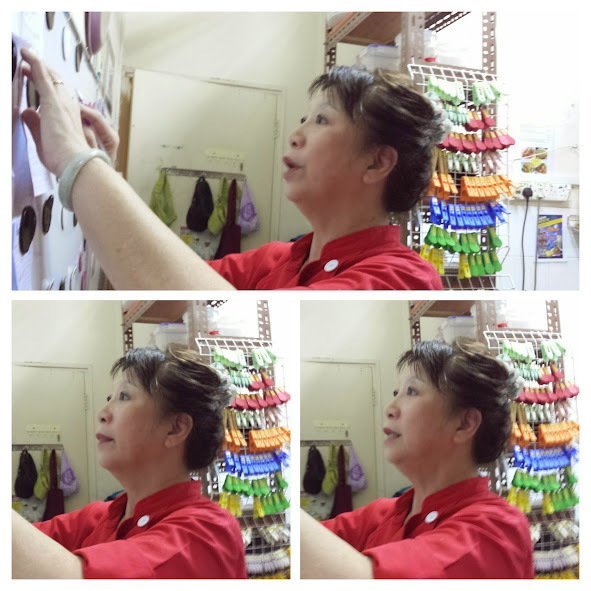 Here's Executive Chef Jenny Yeo checking out the orders for the evening, all lined up in proper manner & precision. The 5- 6 kitchen helpers & Sous Chefs work in clockwork like manner each generating their designated dish at each station in an orderly manner. Since there are four of us : Bob ,yours truly, G2, Stanley, we ordered the Peranakan Set that comprise of Soup, Salad, drinks, Main Dish, plus Chinchalok Fried Rice (strongly recommended by Chef Jenny Yeo). Soup of the day - Clear tasty savory soup with tinge of chicken & pork flavor, delicious & refreshing. Salad of the day - made of core ingredients raw julienned purple cabbage & celery, cereals, mango & cucumber julienned, drizzled with salad cream lends a sweet creamy crunchy bite. Chinchalok Fried Rice - core ingredients used rice, chinchalok, omelette egg, chicken diced, prawns de-shelled & deveined. I love this fried rice very much - savory with a tinge of spiciness in the aftertaste. Chef Jenny Yeo uses fresh large prawns with a crunchy bite. Devil's Curry Chicken - this is a curry not for the faint hearted. 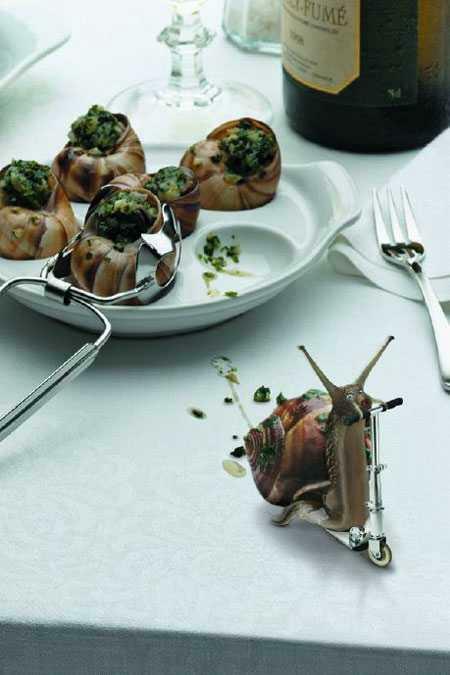 I must warn you that if you cannot take spicy food, you'd better refrain from savoring this dish. For the spicy Curry lovers, this is a must have ! The spiciness from the curry lingers on for quite a while right after you eat it. The curry gravy is very lemak you can tell Chef Jenny Yeo does not stinge on the curry powder. 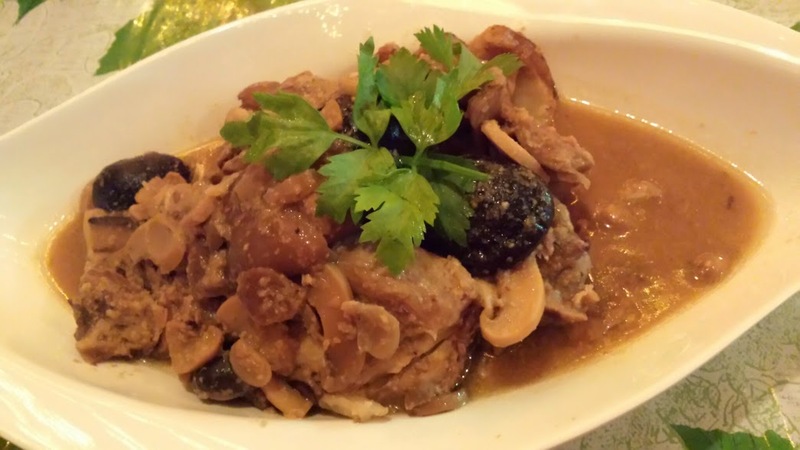 Braised Pork Knuckles - the meat in this dish has been tenderly braised for hours till the meat is tender & soft, with a melt in your mouth consistency. The gravy is sweet more than savory. Strongly recommended for those pork knuckle lovers.